You must be a member of the Frankfurt Changemakers Group to attend this activity. Would you like to join this group? I am planning a visit to the Zoo. Would you like to accompany me, walk, chat, visit the animals and make a good deed? There is this large collection campaign to protect the endangered apes, a cooperation of the Frankfurt Zoo and the Frankfurt Zoological Society (ZGF). Let's become active ourselves! Bring your old cell phone with you on your zoo visit! In the entrance area you can throw your cell phone during the zoo opening times into a mobile phone collection barrel. In the Democratic Republic (DR) Congo - where some of the last mountain gorillas of this earth live - the raw ore Coltan is mined. From Coltan, the extremely heat- and corrosion-resistant metal tantalum is obtained, which is used wherever high temperatures are generated in the smallest space: in mobile phones, laptops, MP3 players, game consoles, etc. Since the demand for Coltan skyrocketed in recent years, many illegal mining sites have been created that destroy the habitat of the gorilla. For each collected or sent mobile phone, the ZGF receives a sum of money from its recycling partner. 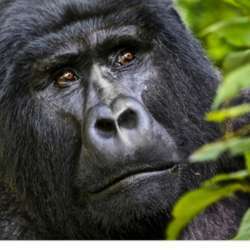 The entire proceeds from the campaign will go Protected content into the gorilla protection project of the ZGF. Mobile phones that are still working will be sent to the second-hand market - thus reducing the demand for valuable raw materials needed for mobile phone production. Defective cell phones are broken down into their individual components and recycled. The recycled materials are available for the production of new equipment as a valuable material. Looking forward to spending this time with you and for a good cause!